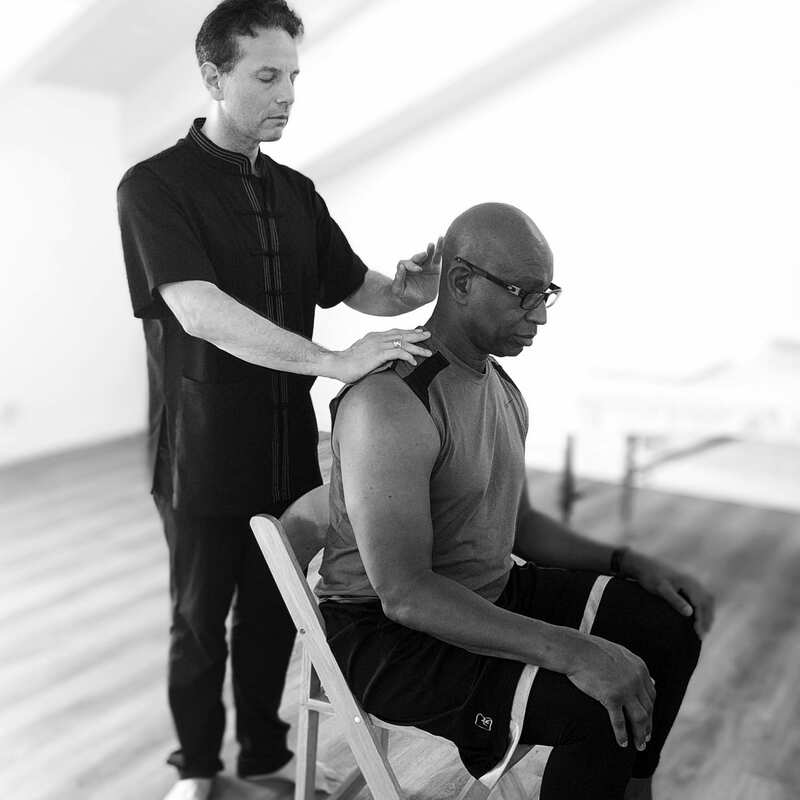 Sifu Matthews’ sessions are deeply empowering, likened to working with a focused laser that can access the core and complex roots of your health conditions and manipulate the elements that form them. He will train you to understand the innate power of your electromagnetism to maintain the healing. Sifu Matthew will assess your field and begin to work on the areas that need attention at that time. After a level of homeostasis is achieved, he will work on regenerating and stabilizing the minerals and elements in the bones, organs, tissues, and nerves. Sifu Matthew works on micro-electric circuitry in the physical and energetic levels of the body to re-pattern what is not functioning. His ability to re-circuit and re-mineralize using the specific elements allows the body to maintain the precise new alignments for health, power, and strength. You will receive a special posture for your condition or series of postures to continue healing at home. Q: What types of conditions can Sifu Matthew's work help with? Q: How many sessions does it take to get well? A. Many people see improvements immediately, however, each case is unique and dependent on how seriously the body’s systems are compromised by chronic stress and improper energy function. For bone and joint conditions – due to the bones’ ability to hold intense electrical charge – healing can often take place rapidly. For chronic illnesses or metabolic disorders, as the body’s forces are balanced and food and supplements are addressed, the conditions can usually heal within the framework of the body’s natural rhythms once they are restored . Taking classes and following Sifu’s specific protocols will undoubtedly improve the rate of recovery. Q: What can I expect to feel during the healing? A. Each person will feel different sensations based on their sensitivity and body awareness. The depth of what you feel does not influence the power of the healing. However, most people will experience: 1. Palpable internal motion of the organs along with electrical charges and currents. 2. Intense heat and vibration as well as shifting of body temperature from hot to cold or cold to hot. 3. Releasing of stress or blocked areas and invigoration of energy. 4. Deep sleep or calming. Q: What can I expect after the healing? A: It is very common for the body to feel better from the pain but also to feel exhausted. Sifu Matthew moves forces in your electrical field that have been dormant during your lifetime, and therefore the body and nervous system will often shut down the outer functions to move into a re-patterning phase to hold the new patterns. This can cause exhaustion for a short period to reconfigure. Sifu Matthew works directly with organ damage and infections in the body. When he begins to move their electromagnetic fields, this will cause a shift of fluids and gasses in the body which will both detoxify and realign the body and can cause nausea due to systems finding a new axis for homeostasis. Ultimately, the discomforts are minimal compared to the benefits.